This is a rectangular flange Lux Fire Extinguishing porcelain sign. This particular Lux Fire Extinguishing sign is black and white with red and white text. 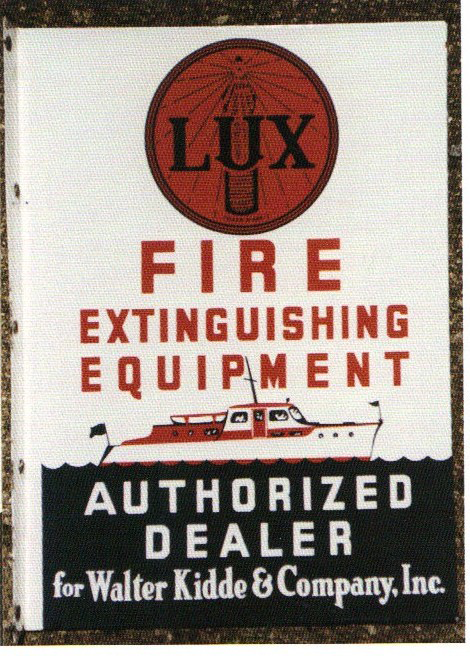 It reads, “Lux Fire Extinguishing Equipment, Authorized Dealer for Walter Kidde & Company, Inc.” and features a red and white boat in the center of the sign.